After weeks of planning, garment construction is well underway in the Eastman Naia Design Challenge at the O’More College of Design. 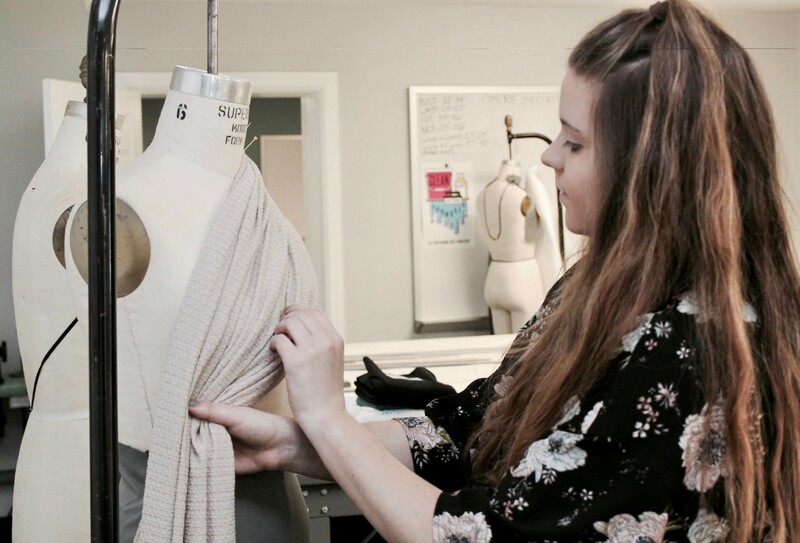 Students in the O’More Fashion Design program are creating garments using fabric composed of Naia, a sustainable yarn made from wood pulp and sourced exclusively from sustainably managed forests. The Eastman Naia Design Challenge is a collaborative effort between the O’More College of Design and Kingsport-based Eastman. The partnership promotes the application of the environmentally-friendly fiber in original, ready-to-wear clothing. This marks the second year that O’More has collaborated with Eastman. Sustainability is an important initiative at Belmont, where the Conservation Covenant is a driving force on campus. Not only does Belmont serve as an arboretum to preserve more than 100 species of trees and shrubs, but the careful management of water usage for irrigation, the green roofs on top of LEED-certified buildings and the use of geothermal energy for heating and cooling ensure that Belmont follows through in its mission to take good care of God’s creation. As announced in February, Belmont will acquire O’More College of Design and all its assets and move O’More’s programs in fashion, interior and graphic design as well as fashion merchandising to Belmont’s campus. The new O’More School of Design at Belmont University will open its doors this fall in Nashville.